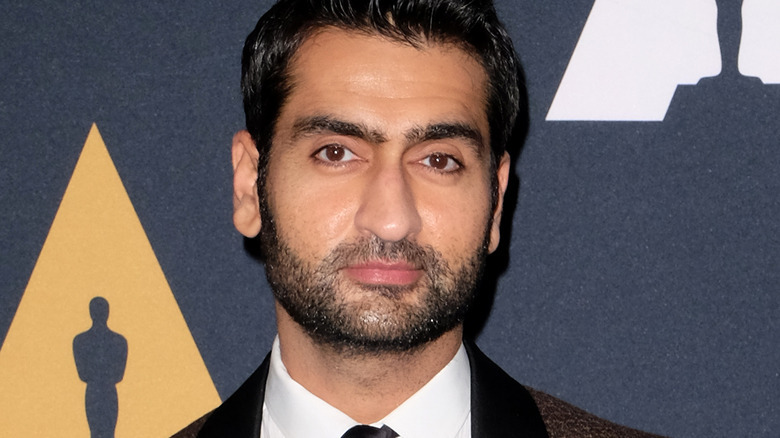 Kumail Nanjiani is about to travel through another dimension, a dimension not only of sight and sound but of mind, on a journey into a wondrous land whose boundaries are that of imagination. He can see the signpost up ahead! His next stop, The Twilight Zone! TheWrap confirmed on Thursday, November 15 that Nanjiani is set to star in an episode of CBS All Access' upcoming reboot of the iconic sci-fi series The Twilight Zone, which has Get Out director Jordan Peele attached as its narrator and executive producer. Emmy Award-winning producer Alex Rubens — who has worked on Community, Rick and Morty, Big Mouth, The Last O.G., and Peele's own Comedy Central series Key & Peele – will write the episode on which Nanjiani appears. Rubens also serves as the supervising producer for the Twilight Zone reboot. CBS All Access hasn't released any additional details on the Nanjiani-starring episode of The Twilight Zone, such as the character he'll play or the mind-bending scenario he'll find himself trapped in, but with production currently underway and the series slated to launch on the network sometime in 2019, we shouldn't have to wait too much longer to learn that information. Additionally, that Parks and Recreation alum Adam Scott was recently cast in the revival series' remake of the classic Twilight Zone episode "Nightmare at 20,000 Feet" (re-titled for the revival series as "Nightmare at 30,000 Feet") and that Family Guy actress Sanaa Lathan is confirmed to star in a new take on the anthology reboot episode "Rewind" may provide a clue as to the type of episode Nanjiani will top-line. Perhaps it's another remake — this time of "Eye of the Beholder," "The Monsters Are Due on Maple Street," or "The Invaders." One can hope. Nanjiani has become an even brighter star over the last year, having further proven his talent by writing and starring in The Big Sick, the romantic comedy loosely based on the real-life story of himself and his wife, Emily V. Gordon. The Big Sick was one of the best (and most underappreciated-by-the-masses) movies of 2017, taking home an Academy Award nomination for Best Original Screenplay (which Nanjiani penned with Gordon) and $56.4 million at the box office for a $50 million-plus profit. Following the film's release, Nanjiani's name was on everyone's lips — with many heralding the Silicon Valley alum as one of the breakthrough entertainers of 2017 — so it's not hard to see why CBS All Access tapped him for The Twilight Zone. Tune into the Twilight Zone reboot sometime next year.